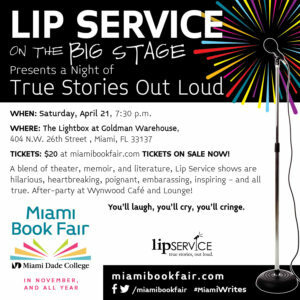 Lip Service’s Next Show is “Moving On”! 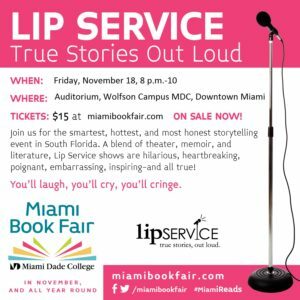 Lip Service Comes to the Book Fair! 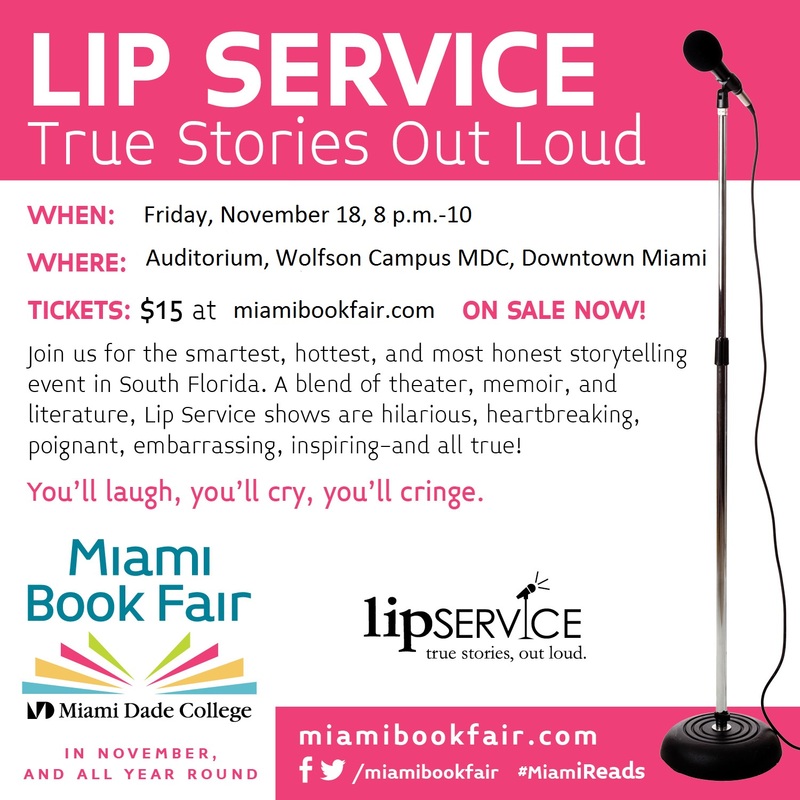 Experience the healing power of stories, Friday, November 18, 8 p.m. at the Miami Book Fair! Identity can bring us together. It can also pull us apart. Come out and present a personal true story about a time when your identity challenged and changed you. 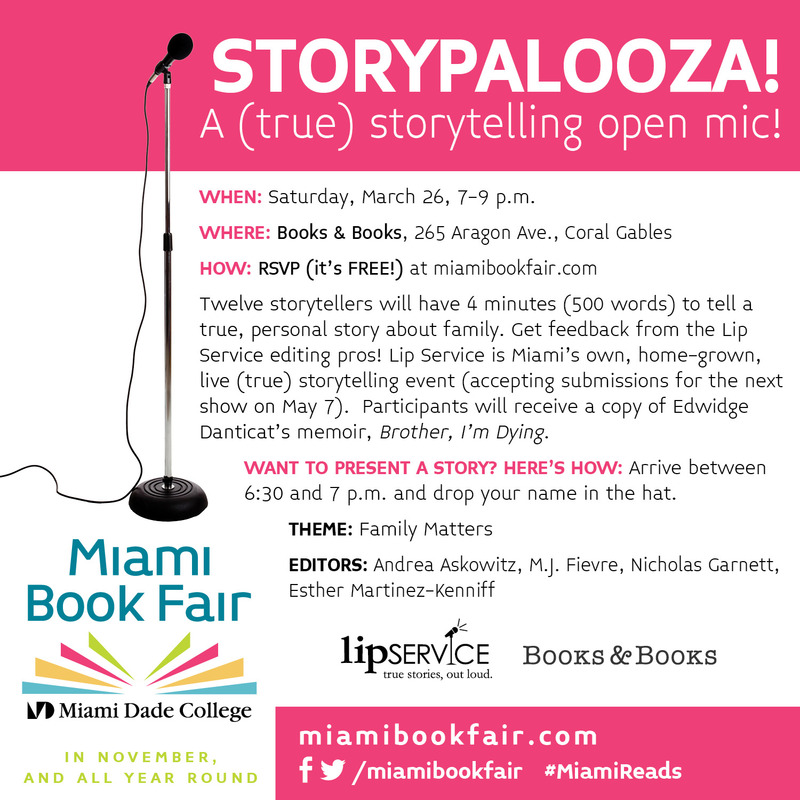 Twelve readers will receive feedback from an all-star panel of editors, including Lip Service co-producers Esther Martinez and Nicholas Garnett, and Lip Service founder and producer of the podcast Writing Class Radio, Andrea Askowitz. Saturday, July 23, 6 p.m. to 9 p.m.
Want to read? Bring a printed copy of your story to drop in the hat. Stories must be 500 words or fewer. May 9th Show: Best Ever! STORIES ARE UP! Click to watch. Or click on STORIES above. Storytellers: Asia, Tobi Ash, Cristian Barquero, David Beaty, Terry DeMeo, Inessa Freylekhman, Ken Russell, Larry Spinner and host Andrea Askowitz took down the house May 9 with stories about POWER. This show was brought to you by Aqua Foundation–empowering the lesbian, bi, and trans community in South Florida–for a night of POWER. Lip Service’s 8-year anniversary show took down the house! Thank you to our storytellers and to our awesome audience! 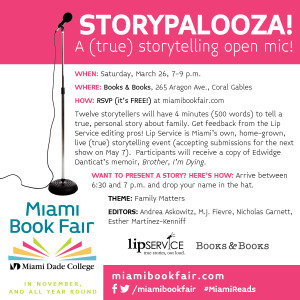 Storytellers include the amazing Asia, Mickey Angel, Betsy Blankenbaker, Terry Demeo, Carlos Frias, Elizabeth Koster, Esther Martinez-Kenniff, and Andrea Zarchin with hosts Andrea Askowitz and Nick Garnett. 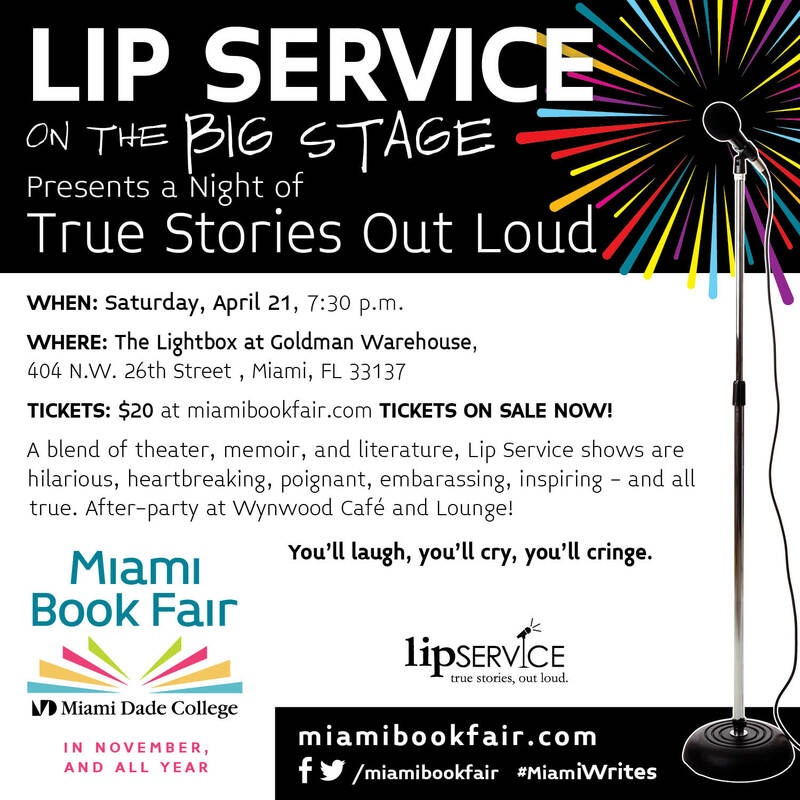 Modern Love Lip Service took down the house on April 5, 2014! What a show! Stories are up. Click on Stories above. Lip Service – Guatemala from Figaro Films on Vimeo.